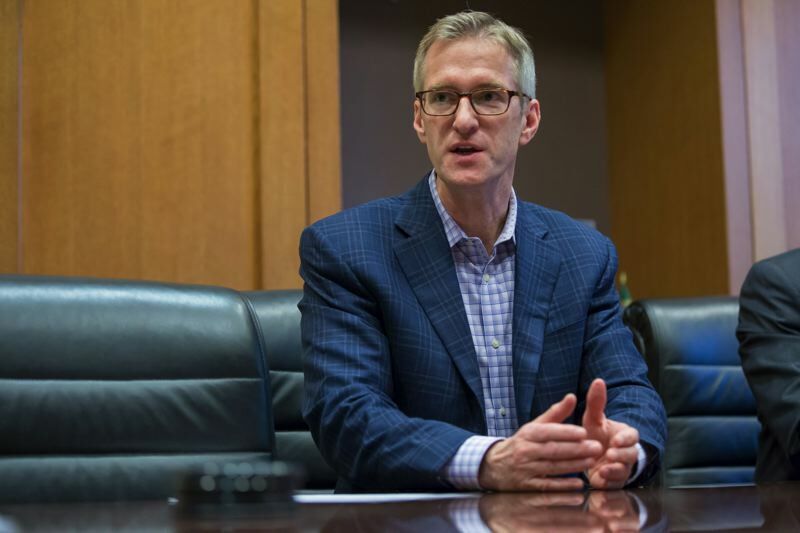 Trying to rescue a campaign pledge, Mayor Ted Wheeler wants to take the city's police accountability system to court. In response to a legal interpretation from Multnomah County District Attorney Rod Underhill, Wheeler has introduced a city ordinance that would allow officers to promptly interview police following fatal shootings. It would then be sent to a court for constitutional review. The issue of when an officer's statement must be given following a shooting is contentious in Portland law enforcement and police accountability circles, and the city Independent Police Review office and Underhill have issued dueling legal opinions on whether prompt mandatory interviews are constitutional. Wheeler campaigned on eliminating the so-called "48-hour rule," a part of the Portland police contract that blocked interviews of officers from taking place within the first two days after an incident such as a shooting. His predecessor, Charlie Hales, beat him to the punch before leaving office by negotiating a contract that eliminated the rule. But the ensuing effort to take has led to a behind-the-scenes debate in local law enforcement circles. To counter the push toward prompt interviews, Underhill issued a strongly worded memo saying the practice of compelling administrative interviews is unconstitutional. That, in turn caused Police Chief Mike Marshman to issue a rule saying criminal investigations must be done before any disciplinary interview. Police accountability activists say Underhill's stance and Marshman's proposal would gut the city's system of accountability, as they say prompt statements are less likely to be skewed to avoid discipline. Underhill's office and some police, however, say making such interviews mandatory threatens officers' 5th Amendment right under the U.S. Constitution to not give statements that could be incriminating. In a statement Friday, Wheeler said the ordinance he introduced, requiring a compelled statement shortly after a fatal shooting, would be taken to court where a judge would rule on the situation. He cited the hefty raises that Hales and the City Council last year awarded in return for doing away with the 48-hour rule, only to have Underhill prompt a new version. The raises and resulting pension payouts will cost the city more than $10 million a year. "I oppose the 48-Hour Rule. Officers who wrongly use deadly force should no longer wear a badge," said Wheeler. "The previous Council paid a steep price to eliminate the rule and I want it gone forever." According to the city,"Mayor Wheeler continues to actively pursue additional options to ensure interviews are conducted within 48 hours." Underhill issued a statement applauding Wheeler's move, saying a court ruling would increase clarity around the issue.